The Patiala House Court in Delhi today fixed the next hearing in the JNU sedition case for 28th February. The Court asked the Delhi Police to get Arvind Kejriwal-led Delhi Govt. to expedite the matter and provide sanction for the JNU sedition case charge sheet. The court said that they (the government) cannot stop the file. Earlier, the Delhi govt. had issued show cause notice to the bureaucrat who had cleared JNU sedition case file. The Delhi government had received the charge sheet on January 14 but no action was taken on it. In fact, extending their support to the ‘tukde tukde gang’ congress had invited Kanhaiya Kumar, one of the accused in sedition case, for an event remembering Mahatma Gandhi. 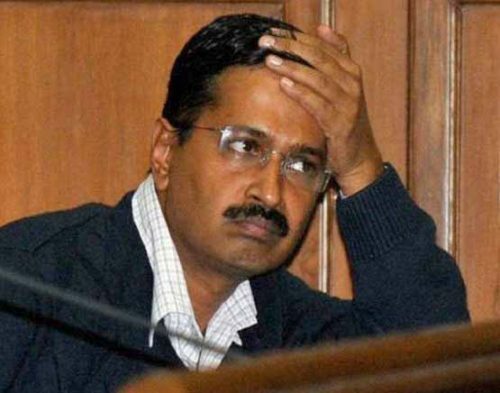 The 1200 page charge sheet prepared by the Delhi police with painful efforts over 3 years was rejected by the Patiala House Court on January 19 when it was presented before it. The court had asked the Delhi police to get the charge sheet sanctioned by the Delhi government. The Delhi police had revealed before the court that the AAP-led Delhi government did not respond to the charge sheet after it was received by the government. The charge sheet contains the names of former JNUSU president Kanhaiya Kumar, Umar Khalid, Anirban Bhattacharya, Umar Gul, Basharat Ali, Raes Rasool and Khalid Bhat along with Shehla Rashid and the CPI national secretary D Raja’s daughter Aparajita Raja for allegedly shouting anti-national slogans at the Jawaharlal Nehru University (JNU) in New Delhi in 2016. The first request seeking the permission to commence prosecution in the JNU sedition case was submitted by the Delhi police in 2016. And the second request was submitted on January 21. The unexplained delay by the Delhi government in giving the sanction to the charge sheet is casting a shadow on the intention of the government.